Are you ready? The moment we've all been waiting for is finally here! No, we haven’t figured out what the LOST finale meant, but you’re close. As you’ve probably seen, heard and smelled, Star Wars: The Force Awakens comes out December 18. And if the trailers are any constellation—the stars have finally aligned. J.J. Abrams electrifies the saga with a perfect balance between classic Star Wars nostalgia and blowout blockbuster. This monumental event feels a lot like that moment when Leia tells Han she loves him and he says, “I know,” and then music swells, sweeping in with a phrase of beautiful pure pathos and all of our hearts are all at once happy because the moment finally happened. And it’s made even better by the fact that in The Force Awakens, Abrams and his team use actual film locations—as opposed to George Lucas’ green screen obsession in the prequels (which we all know were only slightly saved by Ewan McGregor’s "unholy acting talent"). Since many of the scenes feature real places on our home planet, why not visit them IRL? Scavenge your way across the galaxy (mostly the UK) and use the force to defeat the Empire at these real-life locations. Located so far west in Gloucestershire it’s nearly Wales, the Forest of Dean is a lush, adventure junkie’s haven. Specifically, the film utilizes the gloriously named Puzzlewood, a magical Into the Woods-like area of timberland within Forest of Dean. Fun fact: Puzzlewood is said to have inspired J.R.R. Tolkien while he was busy penning Lord of the Rings and inventing languages. Is it Dagobah? The Forest Moon of Endor? Some new planet that we’ve never star toured? Or, maybe it’s where Luke is hiding out since we haven’t seen him in the trailers yet. We’ll just have to watch the movie to find out. Derwentwater Lake is especially peaceful in the autumn and when there aren't space battles happening overhead, of course. This stunning and mysterious landscape looks like it's something out of a movie, because it is. But its location, Skellig Michael Island, is very real! Located in the northernmost part of western England along the Scottish border, Cumbria is home to the Lake District. This stunning series of national parks is a popular tourist destination for UK and European travelers and is now going inter-galactic. Derwentwater Lake in Keswick, in particular, is prominently featured in a battle scene in one of the trailers. Wandering on one of the lake’s many scenic walks, now we can imagine TIE fighters and X-Wings zooming overhead. Bloody spectacular, indeed. Formerly a Royal Air Force station utilized by the British and American militaries during WWII and the Cold War, RAF Greenham Common in Berkshire is now a designated public park. You may recognize the Common from the trailer when Oscar Isaac slaps John Boyega on the shoulder—clearly a crucial bromance plot point. Do you think Oscar Isaac will do the “Ex-Machina” dance? Am I getting off track? Anyhoo, this park was nearly tailor-made for X-Wings preparing for battle. After all, it was originally intended for defeating another evil empire. 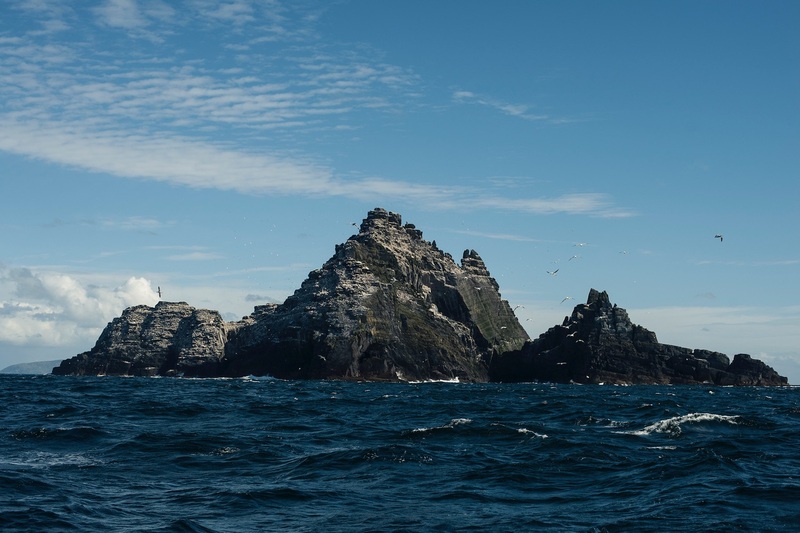 In addition to the impressive rock formations featured in the trailer, Skellig Michael is also home to a really cool, old stone monastery deemed as a UNESCO World Heritage Site. While soaking in the spectacular jig-jagging rock formations and creepy cool monk cemetery, it’s easy to daydream about blasting TIE fighters in the skies above. It’s a triple win. With its remote location, could this be where Luke’s laying low? The snowy scenes of epic battles featured in the Force Awakens teaser must be Hoth— though we still can’t be certain, can we? Filmed in the very real destination of Myvatn lake in northeastern Iceland, the battles were shot around the volcanic region of Krafla (it's super popular with filmmakers: Game of Thrones was filmed here too). Although Krafla crater last erupted over thirty years ago, the region still has a slew of hot springs and geothermal pools, like the Myvatn Nature Baths, to soak in. Hopefully, the cast and crew indulged after their long days in the intense Icelandic winter, and so should you! These are not the dunes you're looking for. While Tunisia played the role of Tatooine in the first Star Wars way back in 1977 (AND WAS A LOCATION IN RAIDERS OF THE LOST ARK, GUYS! 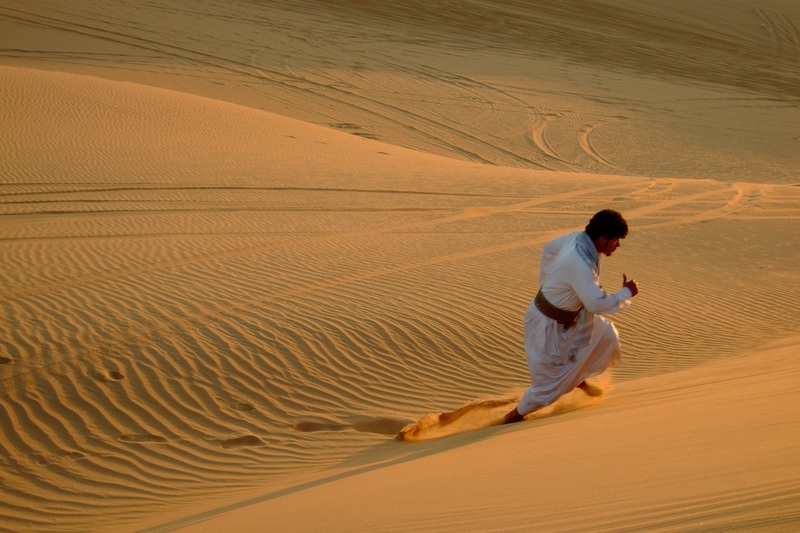 ), fast forward almost 40 years and Abu Dhabi steps up to take the lead role as the desert planet. Filmed in the Rub’ al Khali Desert, also known as the Empty Quarter, it’s literally a sea of sand that goes on and on and on. Check it out in the snippet where heroine Daisy Ridley saunters off into the sunset with BB-8, her adorable droid—AKA the soccer ball with a head. A visit to this massive sweltering sandscape is like being on the desolate binary sunned Tatooine: an overwhelmingly empty space, for reals. But then again, we still can't be certain that this is Tatooine, because the trailers have told us nothing! And finally, we end where it all began. Pinewood Studios, in the London suburbs, is where the original Star Wars was filmed, and naturally, The Force Awakens follows suit. Spoiler alert: Public tours aren’t available. However, if you do decide to venture out there, channel your inner paparazzi and skulk along the perimeter for a possible peek at spinoffs and sequels currently prepping production. Whether trekking on a volcano in Iceland or traversing across Abu Dhabi’s desolate desert, The Force Awakens fantasies in real locations await. Whether the force is with you or not, you can always walk through a supermarket’s sliding doors and pretend it is. And who knows? Maybe that’s where Luke Skywalker is! He was just buying cheetos and chocolate milk this whole time. 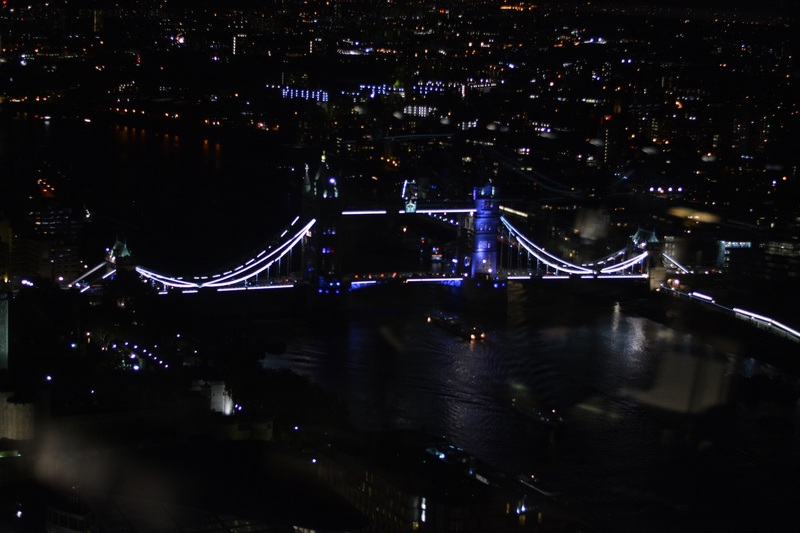 Pinewood may be miles away from Tower Bridge, but look at how spaced out the city is. No wonder it inspires the Star Wars filmmakers. Melissa Karlin is a writer, photographer and professional social butterfly based in Los Angeles, California. A recovered Star Wars addict, this movie may be her downfall. Follow her misadventures @meli64. Cumbria is a non-metropolitan county in North West England. The county and Cumbria County Council, its local authority, came into existence in 1974 after the passage of the Local Government Act 1972. Krafla is a caldera of about 10 km in diameter with a 90 km long fissure zone, in the north of Iceland in the Mývatn region. Its highest peak reaches up to 818 m and it is 2 km in depth. There have been 29 reported eruptions in recorded history. Nearby is the village of Reykjahlíð, Lake Mývatn and the Hverfjall Crater. Located in the legendary Rub'Al Khali, the largest uninterrupted sand desert in the world, Qasr Al Sarab Desert Resort by Anantara embraces the epic adventures of this evocative landscape by providing a luxury oasis for discerning travellers. Cast and crew of Star Wars stayed here while shooting in the Rub’Al Khali Desert (aka Empty Quarter), Liwa and nearby. Puzzlewood is an ancient woodland site and tourist attraction, near Coleford in the Forest of Dean, Gloucestershire, England. See where X-wings were getting ready for battle at the Greenham and Crookham Commons. The old Royal Air Force control tower from WW2 still stands and there's plenty of area to hike, walk and take in local nature. It's about an hour outside of London down the M4 (when traffic isn't dreadful). Skellig Michael, or Great Skellig is the larger of the two Skellig Islands located 11.6 km west of the Iveragh Peninsula in County Kerry, Ireland. Mývatn is a shallow eutrophic lake situated in an area of active volcanism in the north of Iceland, not far from Krafla volcano. The lake and its surrounding wetlands have an exceptionally rich fauna of waterbirds, especially ducks.